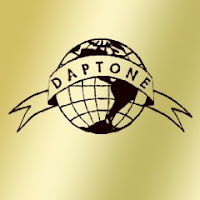 One of the most exciting, exuberant, well executed, and entertaining labels to be spawned out of the New York City music scene in recent memory, Daptone Records brings that classic funk & soul with roots as deep as the genre’s heyday. This album is an odyssey through the label’s premiere acts, an overview of just what they’ve been working on creating for the past decade. I don’t care who you are, what this album represents is an impressive feat of talent and perseverance. By their own hand, recording their blend of funk, soul, and afrobeat acts on vintage equipment, in a studio they built themselves out in Brooklyn’s Bushwick, this label elevates appreciation of classic sound to the level of worship. Their performers working globe trotting touring schedules, it’s still rare that one of the many acts that have been added to the roster won’t be playing at least one date in the city during any given month. Both the sheer amount of talent on the label and their ability to generate innovative and creative material shines through on the album. Stuffed with rare cuts and clocking in at over 80 minutes, each of the larger acts has three or more tracks, while less well-known combos/acts get some much-needed exhibition. Their headliner, a powerhouse act that underlines this neuvo funk endeavor, Sharon Jones and the Dap Kings continue to excite and produce mountains of memorable tracks, to say nothing of their shows. Having the most songs on the album, I was excited to hear the tracks that were new to me, while enjoying the selection of those cuts I had come across before. The other acts are just as pleasing; Budos Band, an instrumental only funk and soul group with an impressive number of members is a local favorite, Naomi Shelton & The Gospel Queens take soul out of church and to your ears, while Lee Fields’ hardest man workin’ vibe had me aching all the way alongside him. I was equally impressed with the Antibalas track, an act that I was happy to see settle at the label. Many of the tracks are funky instrumentals that feature horns, rhythm and lead guitar providing that Daptone sound that really is just simply gold. Defiantly check this one out! 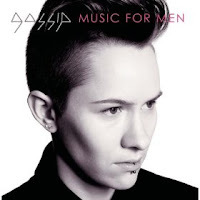 Gossip’s fourth album, Music For Men, is thick and delicious like chocolate and peanut butter. The band has been around for 10 years and their most recent LP mixes funk, rock, power vocals and tragic love ballads that are anything but sentimental. They kick off the album with the opening track “Dimestore Diamond,” which carries you in with heavy bass and methodic drumming. Other highlights include “Four Letter Word,” “Heavy Cross,” and “8th Wonder.” While listening to the album, I tried to find a track I couldn’t like, just to see if there were any gaps, like on most other 12 song albums. 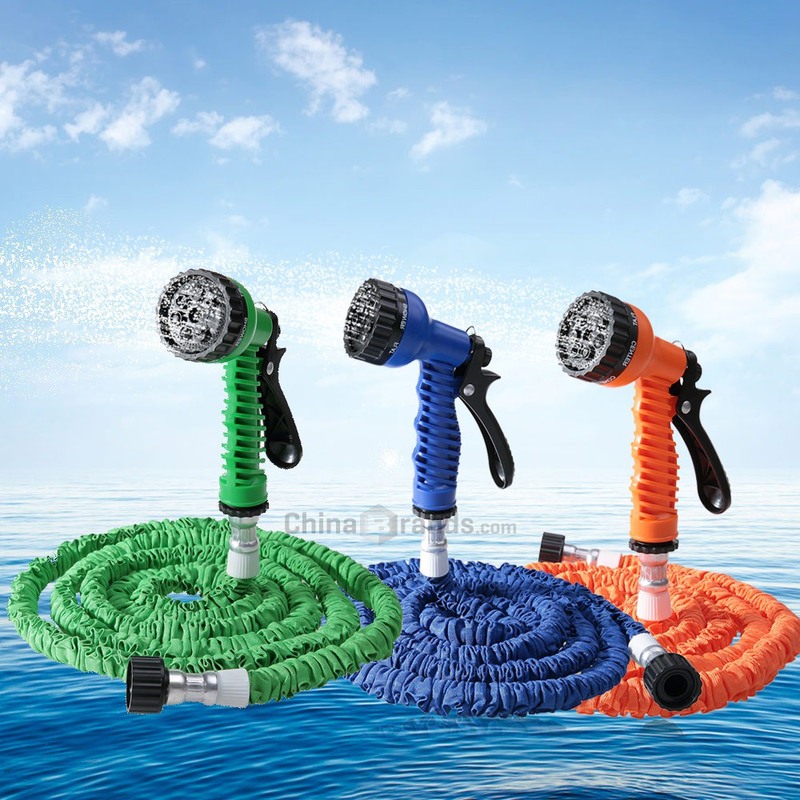 But none fail to take your attention with each as powerful as the next. The album falls not in one genre either. “You try to tell someone but you can’t describe it” they belt out in “Pop Goes the World,” which perfectly describes how they fit more into the eclectic style of bands like Jamiroquai or Red Hot Chili Peppers. Overall, this is an album worth shelling out your hard earned dough for, because they deliver in supreme fashion. 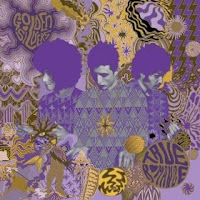 The Golden Silvers’ catchy first single “True No.9 Blues (True Romance)” sounds like a mixture between Bloc Party and Duran Duran’s “Girls on Film.” Singer Gwilym Gold sounds at times a little like Chris Martin, but the band’s overall sound is decidedly not Coldplay. The other single “Arrows of Eros” is so catchy you kind of want to puke – and then listen to it four more times in a row. Their songs are characterized by likable, poppy melodies, vocal harmonies, and lots of major chords. Prevalent keyboards and synth work to make the Silvers’ sound distinctly reminiscent of the 80’s, while the lyrics plant us firmly in today’s world of British/indie/emo/pop/rock. For a slight change of pace, check out “Here Comes The King,” which is a slower track in a somewhat jazzy 6/8 time signature. Put on this band when you’re in a dancy mood and get boogying. Beginning with humming (and glockenspiel) on “Igloo,” then into “All Is Love” an acoustic guitar mover with weak vocals but nice melody line, then “Capsize” a hand-clap rhythm tune, akin to “Iko Iko,” (this percussion will be used later on “Heads Up”) I wasn’t really into Where the Wild Things Are Soundtrack: Original Songs by Karen O and the Kids until “Worried Shoes.” It’s a bit too long for me, but there is a marimba and pretty off-tune piano that makes “Worried Shoes” the first one that gave me hope. “Hideway” is a solo Karen more-style-than-substance vocal thing, as is “Food Is Still Hot,” but “Animal” has a great noisy jangle to it…it may be my favorite. “Lost Fur” has great Bill Mays piano, it’s probably the prettiest little snippet of the 14 and “Building All Is Love” has got what mostly these tunes are about; weird warbling weak vocals, a good acoustic guitar chunk and those darn kids singing in the background. It’s hard to judge a soundtrack’s songs without the visuals, but then again it’s nice when a song can stand on its own. 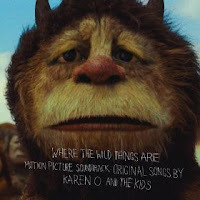 Most of Where the Wild Things Are Soundtrack: Original Songs by Karen O and the Kids have pretty good melodies but I’m not sold on Karen’s childlike slightly out-of-tune thing…though I know that is what this is all about. 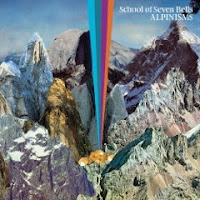 Alpinisms is the debut release from the dream pop band, School of Seven Bells (aka SVIIB), which consists of one part Benjamin Curtis (formerly of Secret Machines), and two parts twin sisters Alejandra and Claudia Deheza (formerly of On!Air!Library! ), who all met when their former bands opened for Interpol. 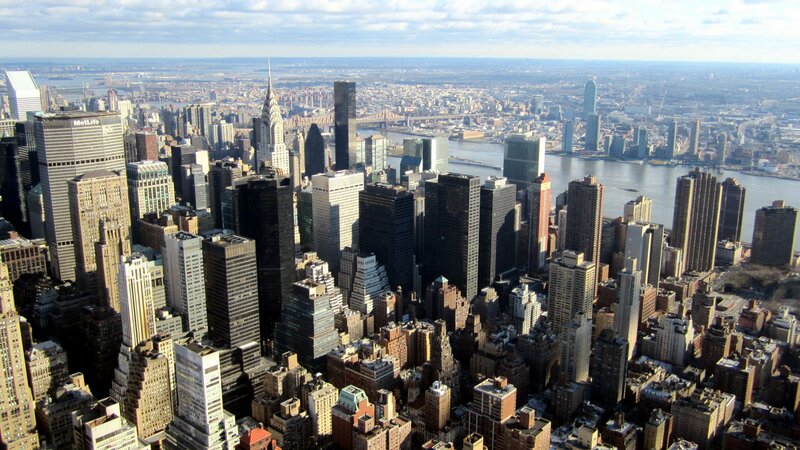 The band’s name comes from a mythical South American pickpocket training academy. School of Seven Bells appears to have a small but loyal following, but Alpinism is an album I generally don’t get. Outside of the song “Half Asleep” which I enjoy, the album features many songs that never seem to leave the great starting point they have, with most seeming like a sort of ethereal wallpaper with the heavy synthesizer heavily draped over the twin’s choppy harmonies and above average voices. Maybe some of my confusion with their music comes from the band’s unconventional music writing style that starts with lyrics instead of the notes. The other possible hit worth checking out is “Iamundernodisguise,” a gothic sounding tune that features a harder beat and guitar line. The deluxe edition of the album features several of the earlier or alternative versions of the songs, which are generally a non value add. 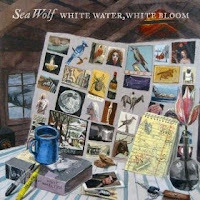 Sophomore release, White Water, White Bloom by Sea Wolf continues with the indie folk-rock sound backed by a full band and an orchestral range that is both cinematic and rich in lush mid-tempo beats. It is hard not to compare the album with the likeness of Bright Eyes as producer Mike Mogis collaborated on both projects. It’s also hard to dismiss that singer/songwriter Alex Brown Church has a voice reminiscent to that of Conor Oberst. With comparisons aside, the musical arrangement on White Water, White Bloom also matched its lyrical poetry, with willowy sounds, rising crescendos, and cascading notes. Other core members of Sea Wolf comprise of Lisa Fendelander (keyboardist), Ted Liscinski (bass), and Joey Ficken (drums). The opening track, “Wicked Blood,” which is probably one of the more notable tracks of the album, begins with an orchestral range and reinforcing piano that combine to create a cinematic overview. This is then followed by “Dew In The Grass,” a song that vividly demonstrates the obvious influences of nature. “Orion & Dog,” is a folksy ballad that is intimately accompanied by violins and other string instrumentation. More harder rock songs are delivered in titles such as “O Maria!” and “The Traitor” further adding to the balance of the softer, more acoustical numbers to those that have a heavier guitar line. One standout, “The Orchard,” is an ethereal dream-like ballad with a mid-tempo beat that flows easily throughout the song. While the lyrics are engaging, and the musical arrangements enjoyable, the album does sound familiar to other works. Yet, the number of fine qualities here makes it a solidly good album and an overall welcomed addition to the ever growing indie folk-rock arena. Generally, when a band wants to add a new member they hold auditions. The Cribs skipped this annoying process and simply asked one of Alternative Rock’s most influential guitarists to join- and he accepted. Johnny Marr is now a member of The Cribs. This would be quite a shocker if he didn’t already do this a few years ago with Modest Mouse. As far as I know he’s still in that band and now he’s in this one too. You’ve got to hand it to the Jarman’s for having the guts to ask but you’ve also got to hand it to Marr for enhancing these songs without distracting from The Crib’s own sound. At first “We Share the Same Skies” does kind of sound like it’s about to turn into The Smith’s “You Just Haven’t Earned It Yet, Baby” but instead it turns into a completely different yet very infectious song. “Last Year’s Snow” also features some of Marr’s signature arpeggios but otherwise it’s just a great ballad by any band’s standards. Aside from Johnny Marr’s contributions, the rest of the band is also at the top of their game. The lyrics are great (example: “Who will tell my next of kin/ that tomorrow stands for nothing?”) and the always-nearing-the breaking-point voices that they are delivered in still suit their sound perfectly, if not better than ever. It’s also good to see that The Cribs haven’t lost their talent for coming up with great song titles. With songs like “We Were Aborted,” “Cheat On Me,” “Emasculate Me,” and “Ignore the Ignorant,” just taking a glance over the track listing is good enough for a chuckle or two. I have nothing to complain about here. This is just good raw rock with a touch of the anthemia. 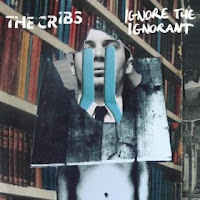 Go check out Ignore the Ignorant and while you’re doing that I’m gonna go give Johnny Marr a call. I and Love and You is the Avett Brother’s 13th Album but their 1st with “big label” American Recordings, the label of Grammy winning, legendary producer Rick Rubin, who’s worked with the likes of Johnny Cash, Tom Petty, and the Dixie Chicks. As sometimes the case with big label signings or departures, there is a fairly dramatic change in the sound of the album: nearly extinct is Scott and Seth Avett’s beloved banjo, which makes a cameo appearance on one of my least favorite songs on the album, “January Wedding.” And in place of banjo is a great deal of piano. As a passionate Avett Brother’s fan, my first reaction was sadness and anger. But after many listens, I realize what has remained constant are the beautiful harmonies between the two brothers and the brilliant lyrics. In fact, what I’m beginning to realize is while I loved the banjo, it was probably too prevalent in all of their previous albums, making the albums as a whole difficult to listen to. In a short period of time, I and Love You has now become my favorite Avett Brother’s album. 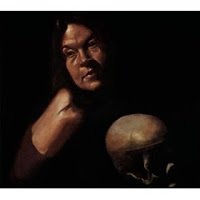 While prior albums like Emotionalism still hold some of my favorite songs, this album is the Avett Brother’s most complete work and most listenable album. The Grammy goes to the Avett Brothers. Thank you Rick Rubin.